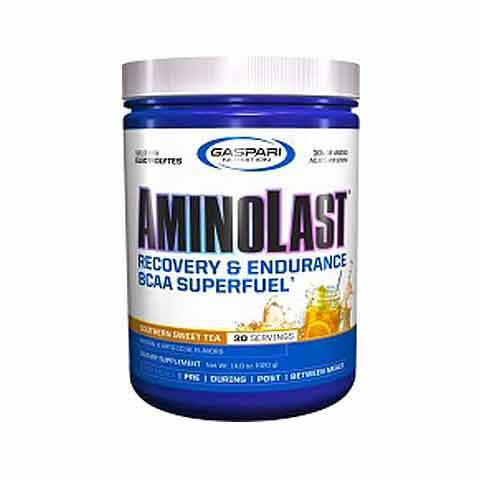 Gaspari Aminolast is a great tasting advancement to support recovery and endurance featuring the unique Ammoject technology. Waste products that build up during exercise can slow you down and Ammoject technology can help diminish their negative effects to support optimal workouts.BCAA’s are just part of the picture when it comes to carbohydrate free recovery support. With added electrolytes stacked with the powerful osmoregulating antioxidant taurine, Aminolast sets itself apart with pure innovation and never ending taste satisfaction. Reduces Muscle Fatigue & Soreness. Activates Muscle Building & Repair. Artificial Color, Sugars & Stim Free. 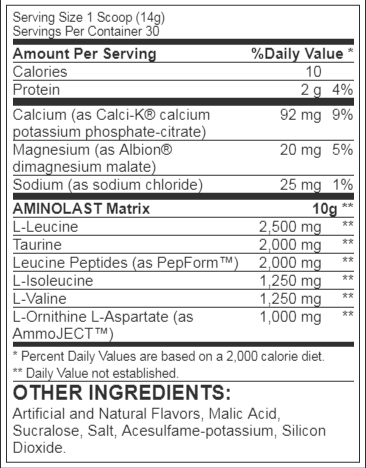 Citric Acid, Malic Acid, Soy Lecithin, Natural Flavor, Sucralose, Acesulfame-potassium, Red Beet Powder (colour). Good Taste and work well mixability is perfect. Genuine Product Got the Best deal compare to the other site. Taste not that good. I use during my workouts. 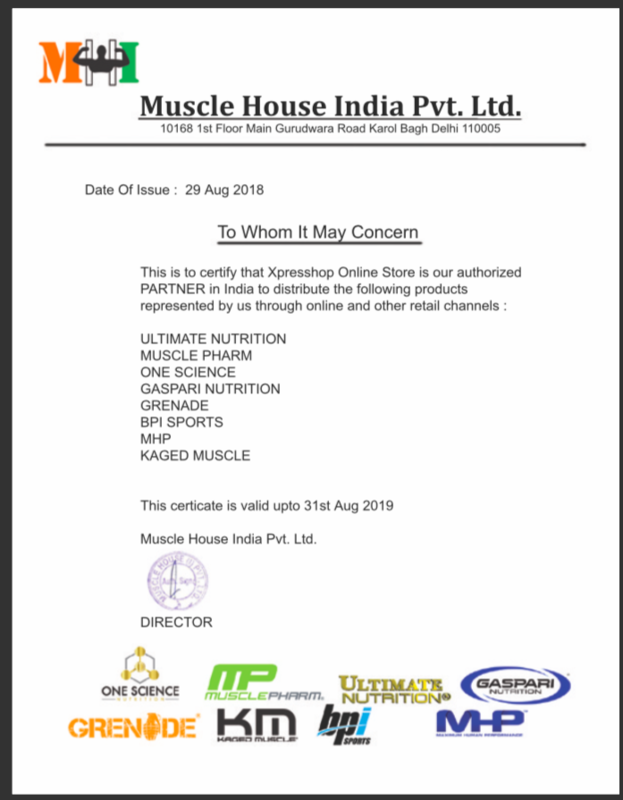 4.5 stars - "HealthXP - India's Authentic Online Protein Supplements" Healthxp India's Authentic Online Protein Supplements.